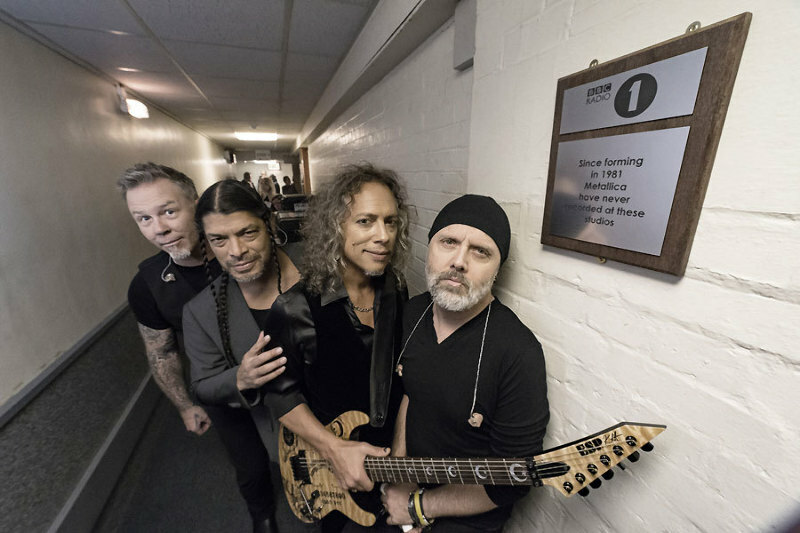 Metallica performed their first-ever BBC Session at London's Maida Vale Studios on November 17 as part of the launch of “Hardwired…To Self Destruct”, and the band are now sharing footage of the full event. The video package also features guitarist James Hetfield and drummer Lars Ulrich in conversation with program presenter Carter. The studio session and broadcast were part of a visit that saw Metallica host their first UK in-store autograph signing session at HMV’s Oxford Street store starting at midnight on November 17, and an intimate show at London’s House Of Vans on release day. Metallica will resume the WorldWired tour with a January 11 show in Seoul, South Korea, followed by dates in China, Hong Kong and Singapore.